SIA has unveiled its new open banking digital platform as it looks to work with Italian and European banks, fintechs, corporates, SMEs and public sector organisations for payment services. With the introduction of Payment Services Directive 2 (PSD2) very much in mind, SIA wants to create an “ecosystem” for banks and new market players, i.e. third party payment service providers. The platform for example permits access to information pertaining to several bank accounts, “optimisation” in the onboarding of new customers, cash-pooling and liquidity management, and multibank payment orders. Cristina Astore, director of SIA’s international division, says it can “support the innovation of business processes, improving the user experience and further raising security levels and speed of payments”. The platform is part of its EasyWay solution that enables banks and other payment service providers (PSP) to manage instant payments at European level and all the other SEPA payment and collection instruments. SIA Group provides its services in 48 countries, and operates through its subsidiaries in Austria, Germany, Romania, Hungary and South Africa. The company also has branches in Belgium and the Netherlands, and representation offices in the UK and Poland. 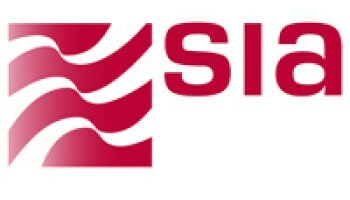 The group is made up of eight companies: the parent SIA, the Italian companies Emmecom (network applications), P4cards (card processing), SIApay (collection and payment services), and Ubiq (technology solutions for marketing), Perago in South Africa, PforCards in Austria and SIA Central Europe in Hungary.